We are one of the leading suppliers and traders of Freeduino USB With At-mega Eight engaged in providing a qualitative range of products. Our range of product-line is an open source embedded development platform which includes a simple development board and is used easily for writing, programming and uploading codes. Freeduino usb is a very compatible board which is designed to be a cost effective alternative for the official arduino board and is highly compatible with arduino compatible shields, tools and the arduino ide which can be used anywhere. It is an open source development platform, which means that all the designed files are available free of cost which includes the board schematics, PCB files, codes, etc in their projects used for making transformations as per the requirement of the applications. It ensures that the client will receive an excellent technical help and assistance reducing the clients development time and enhances the learning experience.It also has a modularity approach having a wide range of add on boards, called shields, which is pluged onto an arduino and is helpful in achieving specific purpose, greatly simplifying the whole development process. 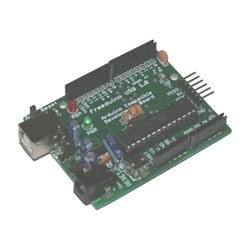 These can be programmed directly through a Usb connection to a PC with the help of arduino ide and is a simple and easy to use program used for writing, compiling and uploading codes. 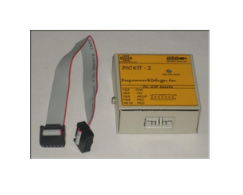 It offers on-board 5v and 3v3 voltage regulators providing an empty slot next to each Io and power pin header for easy expansion. These usb boards comes with an atmega8.